Don’t you hate it that Windows gets slower and slower the longer you use it? One of the main reasons for this is that software is almost never uninstalled completely. Most application programs don’t provide enough information for the Windows Add/Remove Programs tool to be able to uninstall them properly. So every time you try out a new program and then remove it you have a little more junk left over clogging up your computer. After a while your Windows operating system is like a back yard full of rusty bicycles, old beer cans and broken bathtubs. Ashampoo Uninstaller 6 completely eliminates this problem. It lets you test software with confidence because you can be sure that no trace of programs you remove are left anywhere on your system. It does this by comparing compact “Before” and “After” snapshots that identify exactly where all program components and settings are located. Uninstalling is completely safe, with automatic backups and a special Reinstaller for quickly reinstalling programs with all their settings. 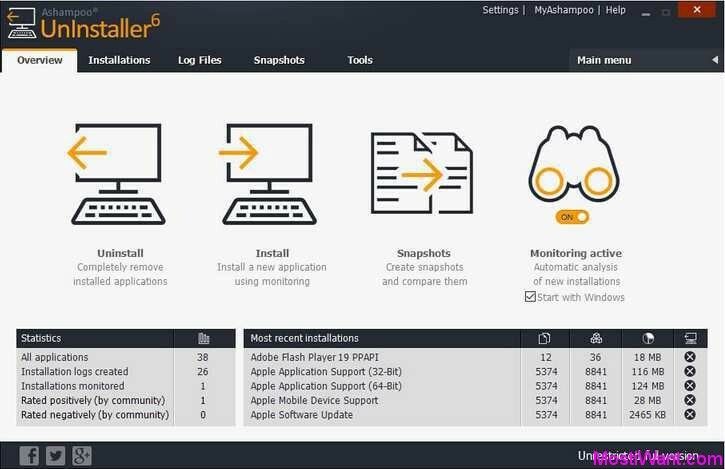 In addition to uninstalling, you can also use UnInstaller’s comprehensive “Before and After” comparisons to monitor and identify the secret activities of any program – for example hidden files and Registry keys. Just take a snapshot, run the application that you want to monitor and then take another snapshot. UnInstaller then compares the snapshots and shows you all the changes the program has made anywhere on your system. 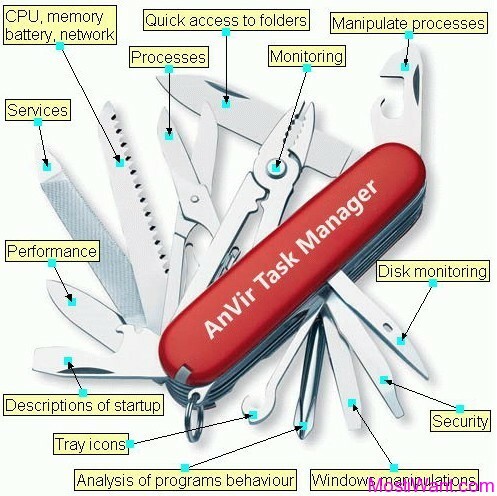 But that’s not all – the new version also comes with over a dozen equally easy-to-use tools to help you keep your Windows system as snappy and streamlined as the first day you installed it. It comes with an advanced hard disk defragmenter, a file wiper, a file undeleter, an Internet cleaner, a Windows Registry cleaner, a Windows system restore point manager, file and folder backup and much more. See further below for a full list. 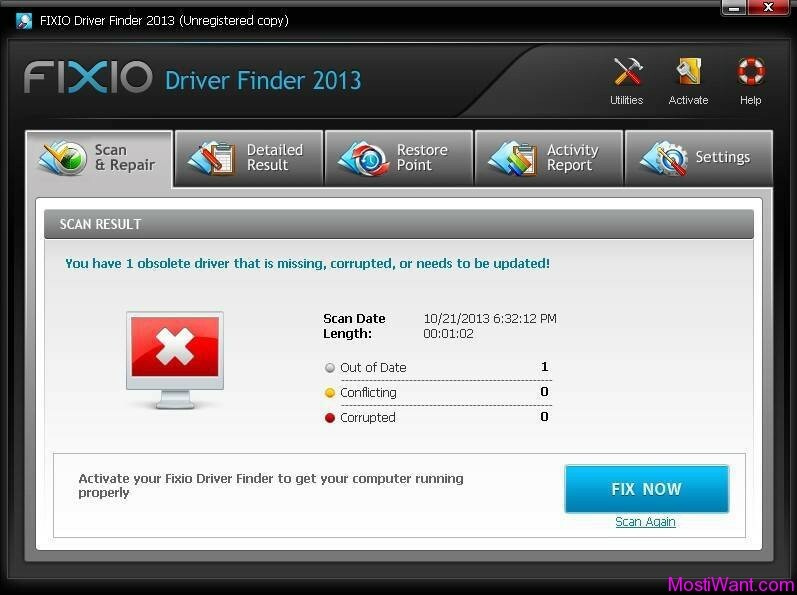 Ashampoo Uninstaller is normally priced at $19.99 per serial number / license key. But here is a very special opportunity for all: Ashampoo kindly offers you the possibility to download and install Ashampoo Uninstaller 6 full version for FREE! Not sure for how long the giveaway is going to last, which means it’s probably best to grab it while the offer is still live. Ashampoo Uninstaller 6 is of course not the latest version for the product, but this does not mean in any way that it is useless or obsolete. The features available are still current and compatible with the needs of a regular user. 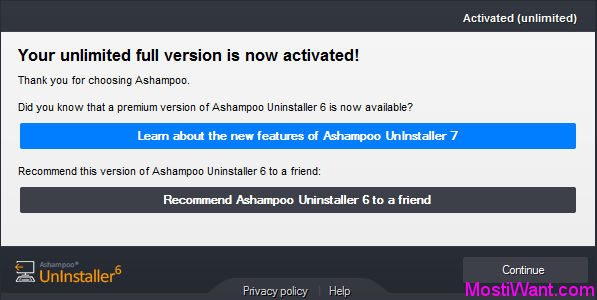 The latest version is Ashampoo Uninstaller 7. 1. Visit this link to download the giveaway installer. 2. Install it. During installation, press “Get free activation key” button to open the registration page, or you can simply visit the registration page here. 3. In that webpage, enter your e-mail address to grab your free full version Serial Number / License Key. To grab your free serial key, existing users will need to log in with your password and new users will need to create a new Ashampoo account. Please note: in addition to registering for the free license key / serial number, you are also opting in to receive Ashampoo “service letters”. They will send you a nagging email every now and then asking you to upgrade to their latest version down the track. Although you can opt-out of letters after you register via MyAshampoo, , it is better use temporary email services such as 10 Minute Mail . 4. Use received license key to active the software and unlock installation process. 5. Take note that Ashampoo Uninstaller 6 may offer to download and install unnecessary bloatware that are not related to the core functionality. If this doesn’t suit you then choose “No” option when you’re asked. 6. Done, enjoy your free full version Ashampoo Uninstaller 6! Updated: This is not a new promo but lasts for a long time. It is still working and many of you may need it. I change the date published for this post to make it up. Nice find. Thank you very much! Nothing happens when I hit “Get free activation Key”??? @Riya , You are welcome.